Since we are planning on being here close to a month and not just a few days, we figured it couldn’t hurt to ask. The owner gladly let us move to a different spot. So now we have a little room to sit outside, and enough room to have the patio set up, both of which the puppies love. 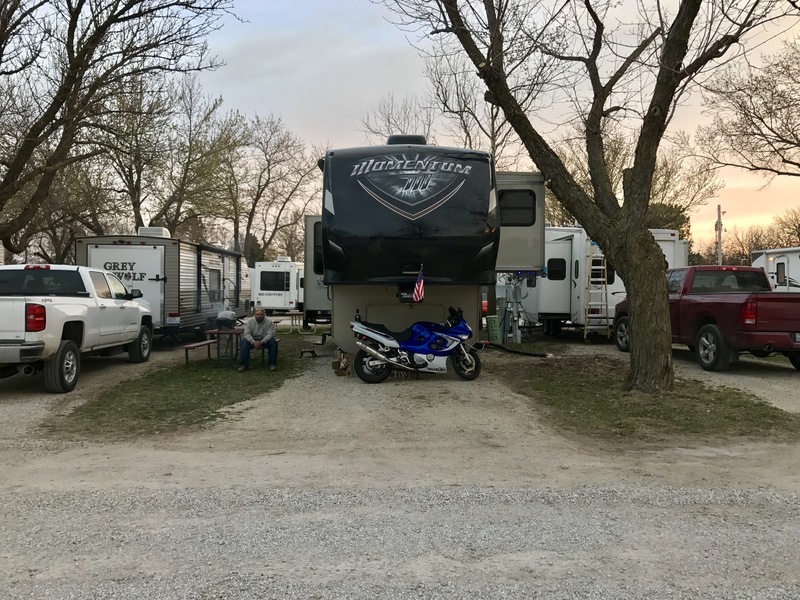 After we changed sites, we got the bike out and when Allen went to work the following day I got the garage all cleaned up (swept and benches and table set up). Then I moved on to the kitchen/living room. 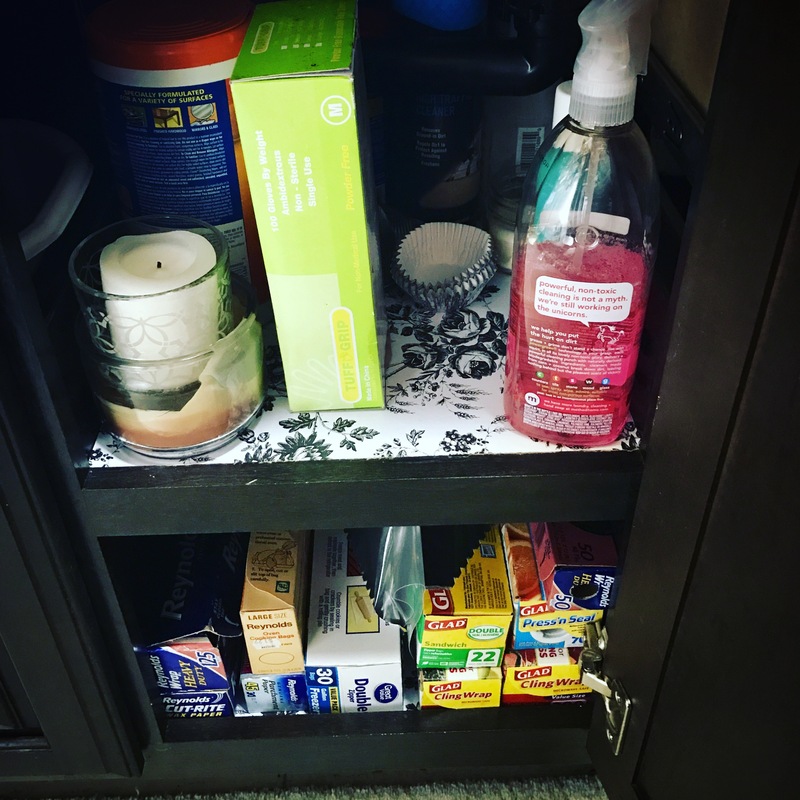 So far I’ve reorganized under the sink and laid some contact paper down. We managed to get rid of the waffle maker we’ve hardly used, a fancy soap dispenser that doesn’t fit our lives and the folding dish strainer that I thought was a must have last year: “My Favorite Camper-Size Things” I took those items to a Goodwill donation center. 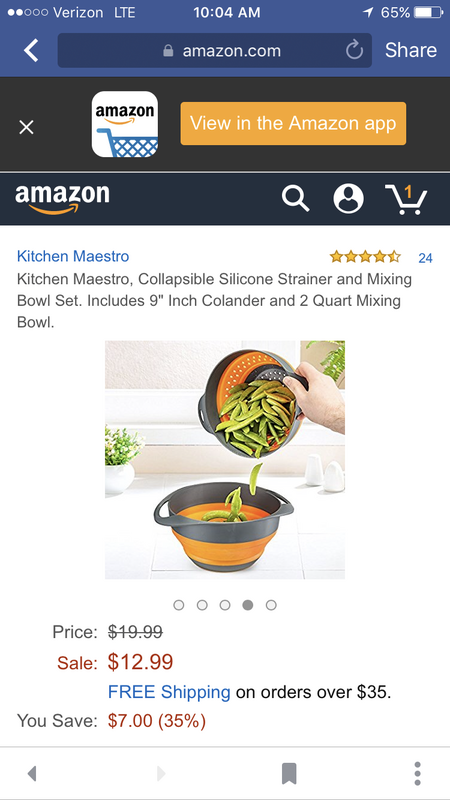 I’m ordering a collapsible colander and bowl from Amazon today so I can also get rid of our nesting bowl set that takes up so much room. We don’t use the paper towel holder so that’s going as well. Along with the Ninja. I love it. It’s cute. But I don’t use it. Next up is the closet which I started yesterday. Our closet is in the nose of the camper and there are shelves along the back of it where we keep most of our clothes. They fall out whenever we drive so it’s always a mess in there. I got most of the floor cleaned up yesterday so we could pull out the Splendide 7100xc and troubleshoot it. It’s been throwing a code since we got the thing less than 2 months ago. We removed the top and back and called in to the tech support line. They had us test the thermistor with a volt meter then the heating element. Both of those were fine. Then we needed to remove the fan and heater assembly to get the condenser out. 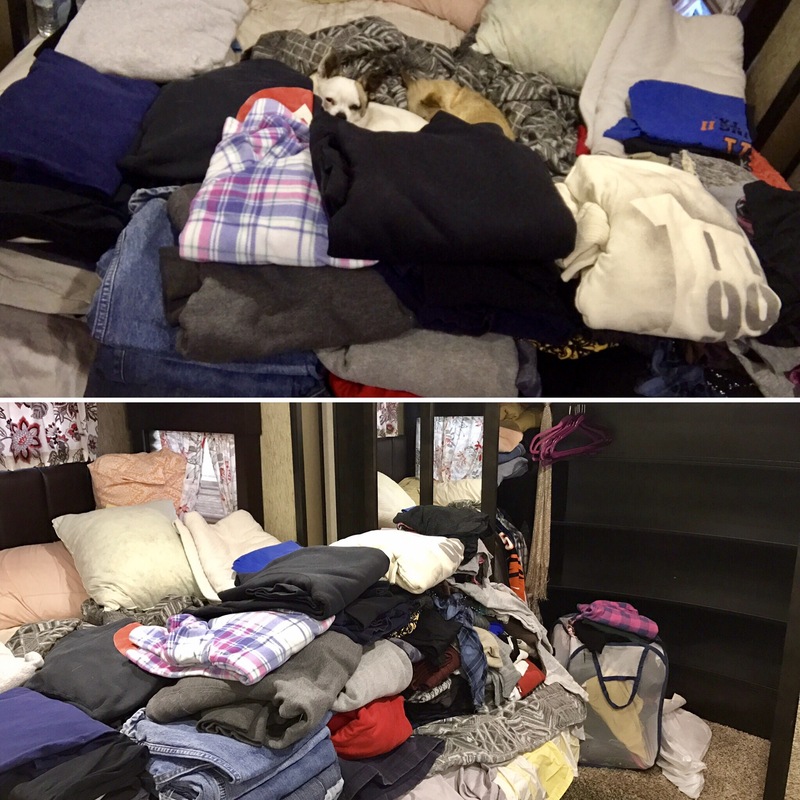 It was clean. 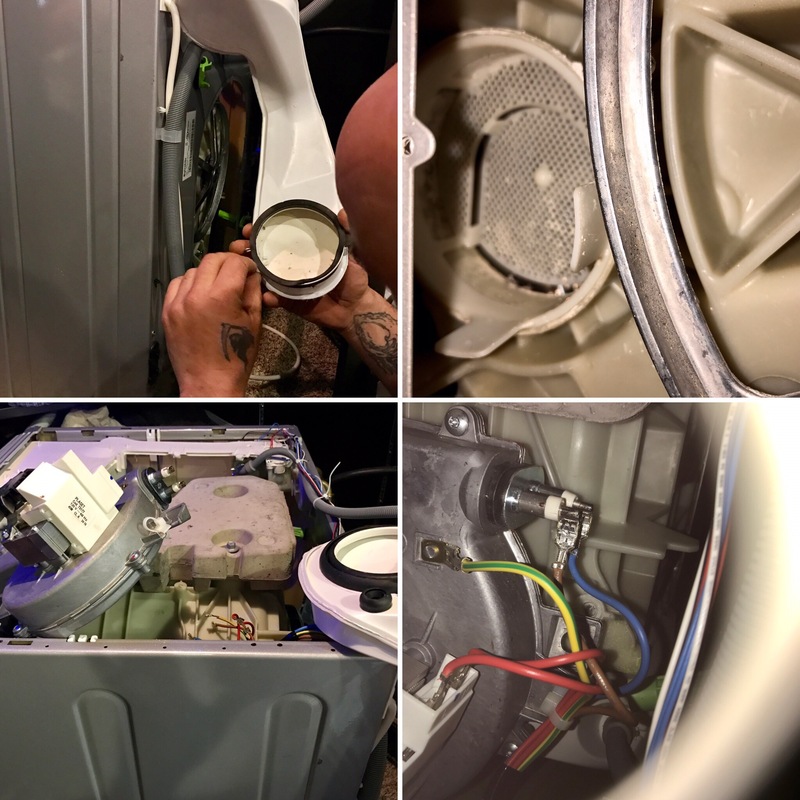 But the little filter where the condenser connects was clogged with a caked up layer of what my buddy at Splendide said was most likely fabric softener. Even though the instructions say to use it, he recommended replacing the fabric softener with just a tablespoon of white vinegar. He said it does the same thing and your clothes don’t smell like vinegar. After that hassle of taking it all apart and cleaning that filter, I’ll gladly try vinegar! I’m just so happy the Splendide was easy to work with, unlike Dometic. 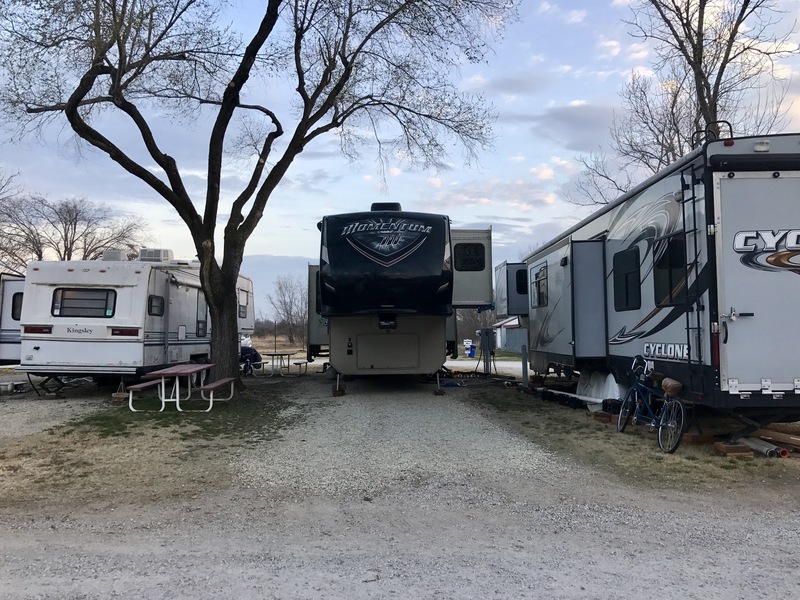 This entry was posted in 2015 Grand Design Momentum 385TH, Camper, Life, Projects, RV and tagged camper life, full time RVing, organization, RV life, space saving, splendide 7100 combo, spring cleaning, tiny house living, washer dryer combo by Rachel Gillen. Bookmark the permalink.